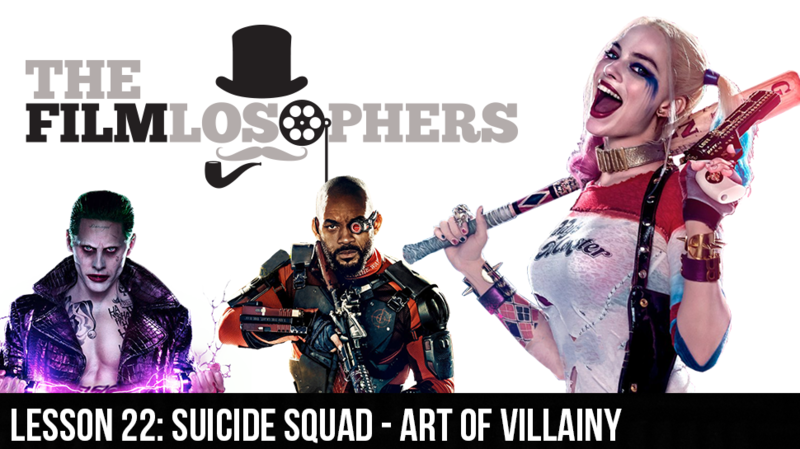 The Filmlosophers, Eddie Villanueva and Chad Riley, welcome cosplayer Maid of Might and VideoGameBANG! host Cory Vincent for a spoiler-rich review of Suicide Squad (2016) starring Will Smith, Margot Robbie, Jared Leto and Viola Davis. From the costumes to the soundtrack, we delve into everything that works and anything that doesn’t in one of this summer’s most highly anticipated films. News items include sequel news on Sicario 2, a name change for Avengers: Infinity War (2018) and more casting updates for Spider-Man: Homecoming (2017). We also take a moment to discuss the first poster for Transformers: The Last Knight (2017) and the casting controversy surrounding Matt Damon’s role in The Great Wall (2017).